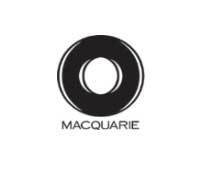 As the Program Manager for Macquarie I am responsible for delivering a program that exceeds expectations and changes lives. No pressure! Thank goodness for Sally Mullins from the Who Am I Projects team, whose support was instrumental in achieving that success. Sally was proactive, thoughtful and diligent from the first moment, supporting me throughout the entire design process. She was faultless in keeping my organisational and logistical focus en pointe, ensuring nothing was overlooked, and all with a smile on her face and warmth in her tone during our regular communications. I was particularly touched to receive text messages on the day of events wishing us well, and often a follow-up call afterward to revel in the joy and success with me before seeking any feedback. It’s been a true collaboration, with any ideas and suggestions being considered and incorporated in our constant quest for improvement. From the moment they walked in the room, our participants knew they were in for something different! My experience of the Who Am I Projects team has been outstanding. Lisa Stephenson has been partnering with Macquarie Bank since 2015 when we became aware of the work she and her team were delivering in the space of leadership, talent, coaching and emotional intelligence. Her ability to partner with us has been outstanding. Lisa quickly immersed herself in the business and developed strong relationships with senior stakeholders. Her views, experiences and innovative thinking have been highly valued by both leaders and program participants. Lisa’s development and delivery of the SHINE program has been incredibly significant for us on a cultural level. Investing in women makes sense for the reasons we all know, and to say SHINE has been life-changing for many would not be an understatement. It’s now being rolled out across the enterprise with Cohort 3. Lisa brings energy and commitment to every touch point, email, meeting and workshop, while the Who Am I Projects coaching team plays an instrumental role in challenging our thinking. The use of ‘I Am…’ statements to develop our future and current leaders is certainly a thought-provoking way to work hard on what we bring to the organisation in terms of real potential. Partnering with Lisa and her team means truly unique results.